Once in love, Leigh and Russell are maneuvered into spending time together during the Christmas holidays. 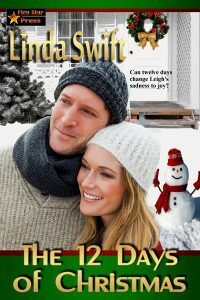 Recovering from a tragedy, Leigh vows never to be responsible for a child again while Russell faces deciding custody of his two daughters after his ex-wife remarries. Will the twelve days of Christmas be time enough to sort it all out?